Pepsi has released a new advertisement starring model Kendall Jenner, with the aim to spread the message of love and peace, but the ad was removed within 24 hours after it was first posted as it received backlash from social media users, which criticised it for trivialising protest movements. “Pepsi was trying to project a global message of unity, peace and understanding. Clearly we missed the mark, and we apologize,” Pepsi wrote in a statement on Wednesday. 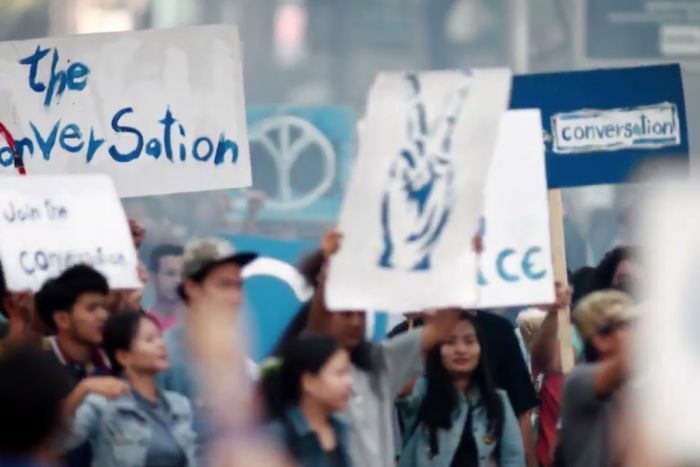 Released on Tuesday, the two-and-a-half-minute ad features Jenner, who is in the middle of a photo shoot, happen to notice a protest march with generic signs like “peace”, “love” and “join the conversation” – making its way down the street. Jenner then wipes off her makeup and takes off her wig to join the protest, but the part that makes people pissed off the most is when Jenner reaches the front-line of the protest, hands a can of Pepsi to one of the officers, prompting a smile from the officer, and thus there are cheers from the crowd – geez, if only protests were that easy! 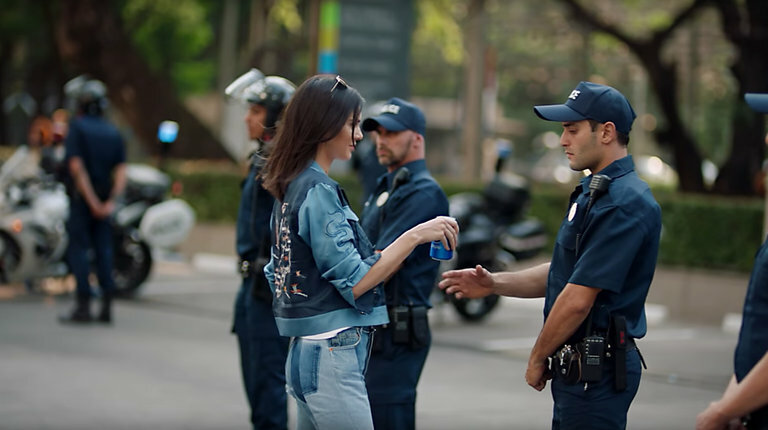 The ad has sparked accusations that Pepsi is trivialising important movements like the Women’s Marches, Black Lives Matter protests, demonstrations outside Trump Tower, and the overall racial tension in America to their advantage. 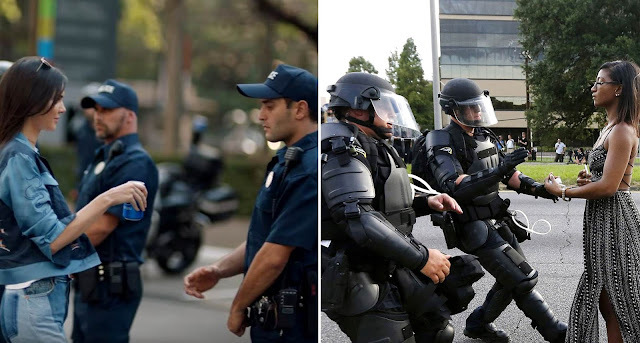 The image of Jenner approaching a line of police officers was compared to a widely shared photo of Ieshia Evans, a black woman who stood calmly in the face of police protestors during a Black Lives Matter protest last year. The video has sparked plenty of reactions; some of those who mocked the ad include Bernice King, daughter of civil rights leader Martin Luther King Jr, and DeRay Mckesson, a prominent member of the Black Lives Matter movement.